I had heard something of the Blackbeard legend, having attended college in his supposed home-town of Bristol (UK), but my knowledge of pirates came mainly from popular books and movies. Then on a recent cruise to The Bahamas I visited The Pirates of Nassau Museum, and was fascinated to discover the amazing tales of Anne Bonny and Mary Read. What would entice women to a life on the high seas among such cut-throats and rogues? I had to find out more about these intriguing characters. The Pirate s of Nassau Museum has a wonderful gift shop so I left there with an armful of material relating to female buccaneers. When I returned home I read everything I could find on the topic, including several novels, but these romanticized versions seemed to sanitize what must have been a gritty, violent, base, and torturous experience. 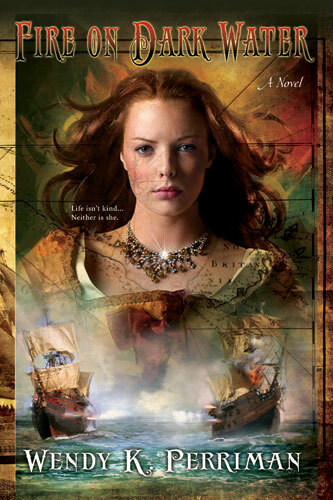 Most authors explain Bonny’s love for Calico Jack Rackham as the main motivation for her actions, while Read is generally portrayed as a victim of circumstance who could only support herself by feigning to be a man. Yet of all the thousands of swashbucklers roaming the world, how did the only two factual female villains end up together on the same sloop? I realized that we knew about Bonny and Read primarily because they had been captured and their trials recorded – which made me wonder how many similar women may have managed to evade the authorities? And so I became inspired to write a different kind of pirate novel . . . .